If you're a Norfolk Southern fan, these engines will get you pretty excited. We were when we first saw them. Nicknamed the "Sonic Bonnet", (from the video game "Sonic the Hedgehog"), Norfolk Southern rebuilt these locomotives from former engines in their fleet and renumbered them 4000 & 4001, model AC44C6M, and applied this special paint scheme for their DC to AC rebuilds. 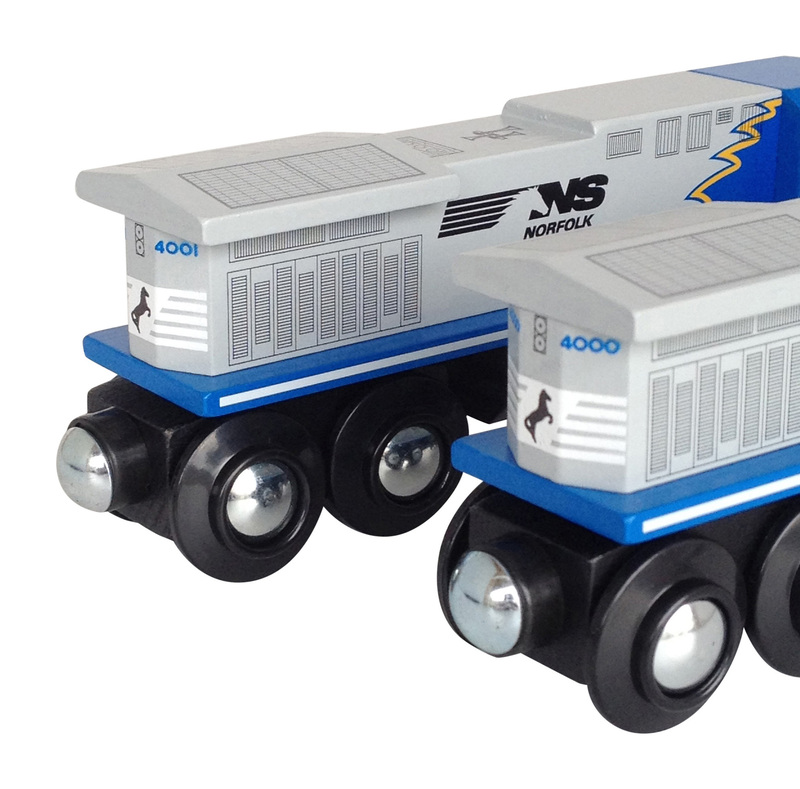 With more detail than ever, wooden train engines #4000 & #4001 are being sold as a set. The magnets will be set up just like you see in the pictures, one pulling and one pushing. 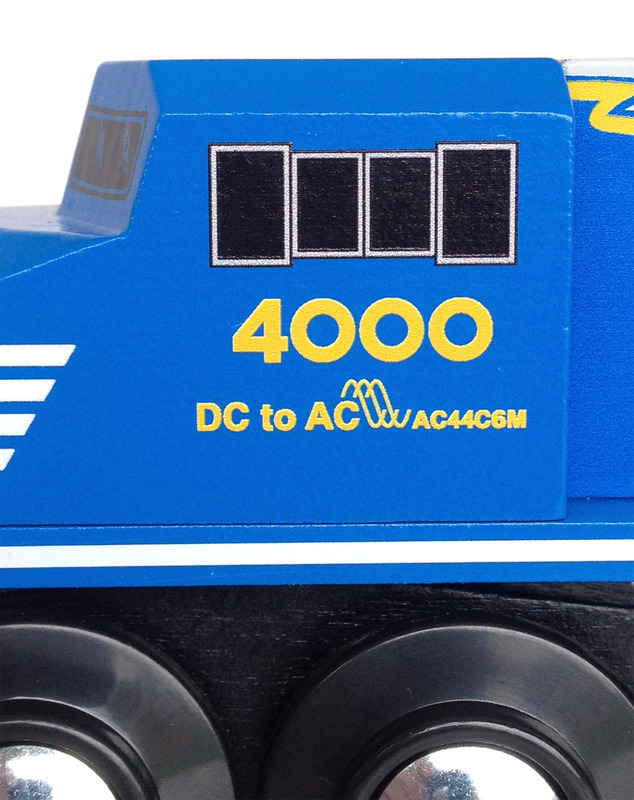 We reversed the magnets on engine #4001 so you can play just like the real engines pulling their freight. If you wish to have the magnets set up the regular way, so that both engines are the same, just put a note in the special instructions when you order and we will reverse them back at no charge. These will be made in limited quantities!